The University of Canberra Capitals will meet the Adelaide Lightning in the WNBL grand final series after beating Perth Lynx. The University of Canberra Capitals have swept their way to the WNBL grand final after defeating Perth Lynx 91-75. The minor premiers overpowered the Lynx in Perth on Thursday night to seal a 2-0 semi-final series win, setting up a championship showdown with the Adelaide Lightning. 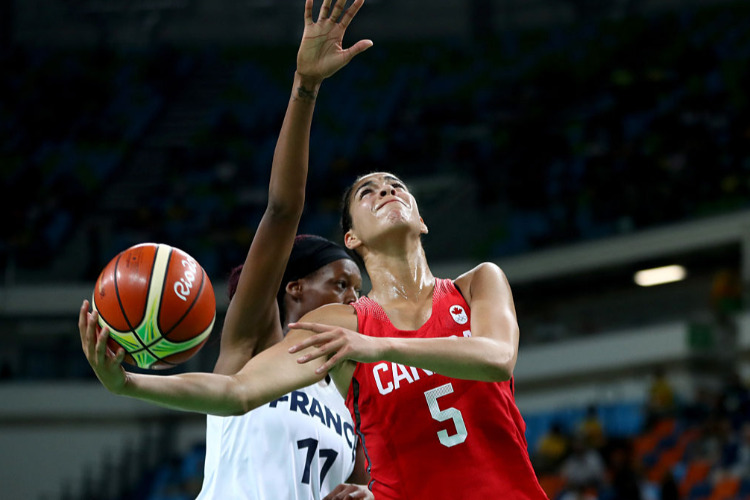 Kia Nurse scored a game-high 27 points for the Capitals, the Canadian forward enhancing her reputation as the premier long-distance shooter in the competition with seven three-pointers. "I'm very fortunate to be surrounded by so many great players and it allows each and every one of us to play to our strengths and have open shots when we need them," Nurse said after averaging 29 points in the semi-final series, including 13 three-pointers. "They always find me when I'm open so I'm thankful for that." Leilani Mitchell (19 points) added five three-pointers as Canberra drilled 14-of-23 shots from beyond the arc. Aiming to send the series into a deciding third game, Perth worked their way to a double-digit lead before the Capitals caught fire from long range, outscoring the Lynx 28-12 in the second quarter to lead by seven at half-time. Perth were dealt a further blow when star forward Asia Taylor left the game early in the second half with a head injury but they staged an impressive fightback to regain the lead late in the third stanza. But despite the efforts of Katie Ebzery and Alison Schwagmeyer (17 points each), the Capitals blitzed the Lynx in the final quarter to advance to the grand final series after missing the play-offs for seven straight seasons. After a quiet performance in game one, Taylor led Perth's first-quarter attack with nine points to build a 23-14 advantage. The Lynx extended that lead to 28-16 early in the second before back-to-back three-pointers from Nurse triggered Canberra's surge, the visitors adding four more triples to go into halftime ahead 42-35. The second half started badly for the home side as they fell behind by 12 and lost Taylor after she suffered a blow to the forehead, sliding head-first into Kelsey Griffin's knee. But Perth thrilled the home fans with a 15-3 scoring run to draw level, Maddison Allen capping a strong cameo performance with a basket to put them in front near the end of the quarter. But Keely Froling nailed a triple to put the Capitals back on top heading into the fourth quarter then outscored Perth 32-17 to close out the series.